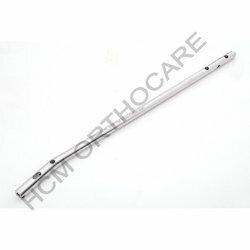 Our product range includes a wide range of universal tibial nail, lateral tibial head buttress plate 4.5 mm and upper bend tibial nail. Backed by our industrial experience and cutting edge technology, we offer high quality Universal Tibial Nail with dynamic locking to our valued customers. 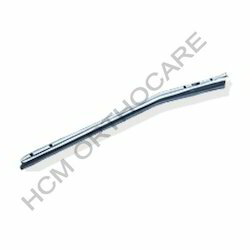 These products are widely used in the hospitals and nursing homes. Our range is also appreciated for its durability, Corrosion resistant and Apt Weight. 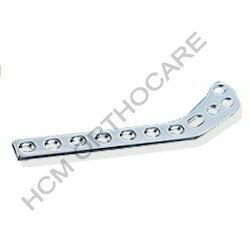 We offered a wide assortment of supreme quality Lateral Tibial Head Buttress Plate 4.5 Mm. We offer these at competitive prices and within a time stipulation been assign to us by our respected customers. Being a quality centric organization, we present a quality range of Upper Bend Tibial Nail to our esteemed clients. To meet the specific requirements of our clients, we offer customized solutions. Looking for Tibial Nail ?